The Insolvency and Bankruptcy Code (IBC), 2016 aims to expedite resolution of stressed assets, and provide an exit route to failed entities. A simplified, generic framework has been developed by RBI for stressed assets of Rs. 20 billion and above, effective from March 2018. In this post, Srinivasa Rao draws lessons from the ongoing resolution processes of the first lot of large delinquent corporate loan accounts for which IBC has been invoked. The asset quality of banks is an important indicator of the efficiency of financial intermediation in an economy. A robust legal system for recovery of loans and more importantly, the commitment of the borrowing community to maintaining the sanctity of debt contracts, play a significant role in building a responsible credit culture. Despite consistent efforts to reform the legal system of loan recovery and to educate the borrowers as an integral part of banking sector reforms, the asset quality of banks in India continues to deteriorate, much to the anguish of stakeholders. In order to ramp up credit monitoring systems in banks, the Reserve Bank of India (RBI) introduced a ‘Framework for revitalising distressed asset in the economy’ in January 2014 with built-in, step-by-step monitoring after early identification of weaknesses in loan accounts. The RBI also suggested remedial measures for each stage of stress. The RBI could not, however, ostensibly check the tendency of banks to accommodate existing borrowers by giving them additional loans with the hope that the whole loan will not become Non-Performing Asset (NPA) in its books. Such accommodative stance of banks out of a systemic compulsion to showcase better asset quality, led to ‘pretend and extend’ and ‘evergreening of loans’ surreptitiously entering the banking lexicon, much to the detriment of sustainable profitability of banks. Easy restructuring1 of loans using forbearance2 on asset classification helped banks escape the correct classification of advances as NPAs. Sensing its adverse impact, RBI withdrew such forbearance from 1 April 2015. The divergence of NPA data of banks and of the RBI, mostly due to varying interpretations of prudential standards, has been surfacing as an issue. The RBI therefore insists that such divergence be disclosed as balance sheet footnotes as a measure of transparency so that stakeholders can take note. To address the issue, RBI rolled out Asset Quality Review (AQR) during Financial Year (FY) 2015-16 to enforce correct classification of NPAs. This led to a sudden spike of gross NPAs of banks from 4.62% in FY 2014-15 to 7.79% in FY 2015-16, reaching a high of 10.41% by December 2017, working out to be close to Rs. 8.41 trillion. In addition, there were many delinquencies in the pipeline where the overdue was in the range of 60 to 90 days, amounting to Rs. 2.85 trillion. Such pipelined stressed assets have the potential to add to the stock of NPAs in future. The Insolvency and Bankruptcy Code (IBC), 2016 was enacted in December 2016 to expedite resolution of stressed assets, and to provide an exit route to failed entities as part of ‘ease of doing business’. Subsequently, the first lot of 12 large delinquent corporate loan accounts constituting 25% of the total stock of NPAs of banks was referred to the National Company Law Tribunal (NCLT). The RBI guided banks to refer them to NCLT for quick debt resolution after insisting that banks make a provision of 50% (now brought down to 40%) for newly referred NPAs. The resolution process for these NPAs is at different stages with bidders3 shifting their stance and seeking legal recourse in many cases, alleging injustice in acceptance bids. In order to fully leverage the provisions of IBC, 2016, a simplified, generic mechanism of ‘Revised Framework for Resolution of Stressed Assets’ has been developed by the RBI for stressed assets of Rs. 20 billion and above, effective from 1 March 20184. 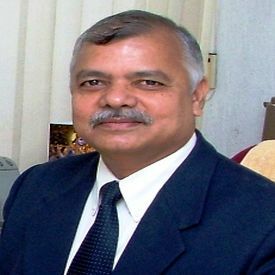 It has discontinued all forms of debt restructuring schemes and converged them into two options for all types of NPAs: (a) Banks to design a Restructuring Plan (RP) for stressed loans duly vetted by external rating agencies, which should be able to revive the loan account and convert it into a performing loan within 180 days. If the unit is not revived and overdue persists, banks must invoke provisions of IBC, 2016 within 15 days. Once action is taken under IBC, banks must make a provision of 40% of loan amount and file resolution case with NCLT. NCLT has to either accept or reject the bank’s petition within 15 days. Within 180 days the debt resolution process should be completed. It can be extended by 90 days by NCLT depending on individual merits, failing which liquidation proceedings follow. In the revised framework, more delinquent borrowers may have to be moved to NCLT as banks’ RPs have limitations of rigid time frame. Banks and borrowers may not be able to coordinate and convert borrower units into fully functional and viable units within a span of 180 days. Besides, banks may like to bypass RPs and move to NCLT at the first sign of slippage itself as delinquent borrowers become defensive and rarely cooperate with lenders in resurrecting the unit, unless the slippage is merely on technical grounds. The Insolvency Professionals (IP) and Committee of Creditors (CoC), the main anchors in the resolution process, are struggling to come up with amicable solutions in the bidding process. The IBC code has already been amended twice to debar willful defaulters from regaining control of their assets through proxies. According to Edelweiss, banks will have to take a haircut5 of 52-60% by the time the stressed assets are resolved. The IPs and CoC seek guidance from Insolvency and Bankruptcy Board of India (IBBI) set up in October 2016. But stressed assets belong to different industries and IPs and CoC may not be able to understand the dynamics in which the borrower industries operate. Going by the experience of the first lot of stressed accounts where IBC was invoked, it appears that a lot of clarification is needed in the process of resolution of NPA accounts, which includes calling of bids, verification of fitness of bidders, going for rebids, approval of bids by CoC, transfer of ownership of units and so on. Such an integrated process needs coordination among stakeholders to avoid protracted judicial and administrative hassles. As a regulator, IBBI should train these individuals in handling the quasi-judicial issues that come up during proceedings. Banks should also expose their employees that are engaged in coordinating with connected agencies (for example, IPs, CoCs, NCLT, advocates, etc.) by providing suitable training modules and courses. Incentivising employees to undertake related courses may help build competent manpower. In view of the ongoing bidding processes and approach of CoCs, it cannot be estimated how long it would take for banks to recover dues from delinquent borrowers and what the extent of haircuts would be. Since these are the first lot of delinquent loan accounts undergoing the resolution process, the journey seems to be tough with no visible signs of actual loan recovery even after many of them getting close to the deadlines. It is important that the regulator and banks note the differences in incentives of bidders who want to gain control of units and lenders who want to optimise recovery. For IBC to serve as a seamless process of debt resolution, it is crucial to pick up operational nuances from the ongoing processes, spot critical points causing delay, and remove impediments via further amendments of the Code and/or find and institutionalise appropriate, well-defined legal and administrative solutions as standard operating procedures (SOP). If cognisance is not taken of hurdles in invocation of IBC, it can push banks into a pile of legal hassles with fear of perpetual loss of value of underlying assets. The combination of efforts to improve recording and availability of credit history, pooling updated information under Central Repository of Information on Large Credits (CRILC) on loans of Rs. 50 million and above, and quick invocation of IBC should be used as an opportunity to forge a cultural shift towards sanctity of debt contracts. Banks should codify conduct, train employees in debt resolution, and improve quality of credit origination, follow-up, and recovery within the rigid time frames so that asset quality improves on a sustainable basis. 1. When a borrower is in stress, banks are permitted to recast the terms and conditions of the original sanction of loan facilities, as a measure of hand-holding. Under a restructuring scheme, banks can extend the loan period, reduce the interest rate, or provide more latitude to the borrower in order to be able to honour the commitment. When a loan account is restructured, the account remains standard and bank needs to provide 5% provision (money set aside to cover potential losses on loans) instead of 15% or more meant for substandard loans. 2. RBI permitting restructuring of loan accounts with the standard provision of 5% instead of 15% provision meant for substandard accounts is referred to as forbearance. This also helps banks keep the NPA portfolio low and contain slippages. 3. In the resolution process under IBC, bidders are those who intend to acquire assets put up for sale as part of debt resolution. 4. For distressed assets of below Rs. 20 billion, a different effective date will be announced by RBI. 5. Haircut refers to the difference between the actual dues from a borrower and the amount the borrower settles with the bank.